Something happened this week that I thought I’d never see. My past and present worlds have collided and now I’m afraid for what tomorrow may bring. On November 10, the Korean group Lunafly posted on YouTube a cover of the song Corre. Yes, that’s right A Korean band posted a cover of a Spanish song. And not just any song in Spanish, but a song by Jesse & Joy. Jesse & Joy is a Mexican duo with wonderfully soulful and inspiring music. It may surprise you to read this, but before I fell in love with Kpop, my music of choice was always in Spanish. Maná, Juanes, Ricardo Arjona, and La Quinta Estación are some of my favorites. Jesse y Joy in particular brings back wonderful memories from my time in high school. Spanish speaking fans must be having a field day! I may only speak basic Spanish, but I’m still dying a little bit from happiness. I’m so proud to be a fan of such a unique Korean band. It’s refreshing to see something like this happen in the world of Kpop. Lunafly keeps surprising me with their talent! This release was a very smart move by Lunafly. Lunafly knows that its strength lies in its international fans, and what better way to embrace this love than by singing a popular song in another foreign language? Releasing songs in English is one thing, but this is something new and exciting. If they continue on this path, their international fan base will only continue to grow. And the best part? They pulled it off so well! 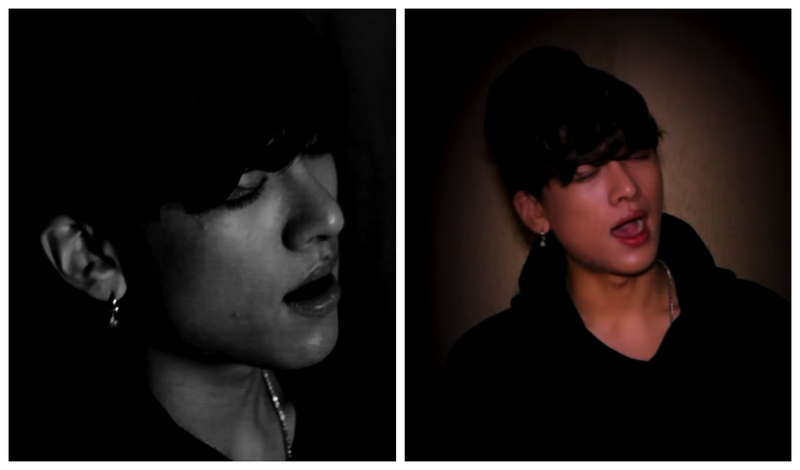 Yun in particular blew me away with his vocals. Without watching the video, I wouldn’t even realize that the singers were Korean. I wonder how much they had to practice; it’s not an easy thing to get those double Rs! Lunafly, please continue this trend. There are so many other great Spanish songs just waiting for you to cover! I think your simple, soulful style would transfer well throughout the genre of Latin Pop/Rock. It certainly worked wonderfully for Corre!